Alison is an associate director in our in-house legal team. 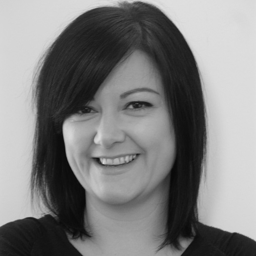 She specialises in in-house recruitment at all levels across the North West, both on a permanent and interim basis. Alison studied law at university and began her career with a national law firm. In 2004 she made the decision to move into recruitment and worked for a large national recruiter and a niche legal specialist before joining BCL Legal in 2018. Alison’s focus is on building relationships and she works exclusively with organisations across an array of sectors. Having worked extensively with clients providing both permanent and interim instructions she is well placed to provide bespoke commercial advice on the market. Above all Alison believes in a long term approach built on the accurate understanding of clients’ needs and candidates’ motivations. Alison and the in-house team are dedicated to helping develop the sector and the legal professionals who work within it. As part of this commitment, Alison and the team regularly run CPD accredited training courses in conjunction with leading law firms including Addleshaw Goddard, DLA Piper, Pinsent Masons and Shoosmiths. The courses range from legal updates to ‘softer skill’ developmental programmes. Since 2003 BCL Legal has become one of the leading legal recruitment consultancies and in that time the in-house team has placed over 1500 legal and compliance professionals in-house. As a business, are you paying your in-house lawyers enough?